Truck accessories come in all shapes and sizes to appease a wide range of consumer demands. If you have struggled recently with fitting all of your equipment into the bed of your truck, now may be the time to invest in a roof rack. Alpine Truck Accessories is here to provide the best aftermarket truck parts and accessories to drivers in Williston and beyond. Drivers hoping to protect their rides for the long haul can benefit from our LINE-X services, off-road products, and expert guidance. When it comes to roof racks, we have you covered! Truck racks — Designed to fit along the sides of your truck bed, this roof rack provides a uniform surface that fits just over the roof of the cab. Enhance your ride with this aftermarket truck part. Roof racks — You can install two or more bars to span the roof of your vehicle, delivering the best platform for a variety of activities. Topper racks — Designed to deliver the same platform across a truck topper, these roof racks can add additional storage value to your ride. Cargo baskets — Store your gear securely with a rugged roof basket from Alpine Auto Accessories. Many of our roof racks come with the ability to add on other truck accessories, be sure to call us for assistance! 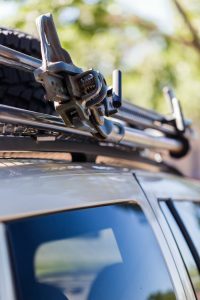 Specialty racks — In order to make the most out of life, many drivers rely on roof racks that are specialized to their lifestyles. You can invest in the hardware needed to transport your bicycle, kayaks, canoes, skis, or snowboards for easy storage while heading down the road. Our truck shop in Williston can also provide the rack accessories and add-ons you need to outfit your ride for success! If you purchased a new truck recently, it’s important to remember that it isn’t going to protect itself! Alpine Truck Accessories is here to stock the full lineup of rugged accessories and spray-on bedliners for North Dakota drivers. We understand what is needed to protect your ride, and will work with you to find the best products for your unique needs. Contact us today for support, and be sure to stop by our truck shop in Williston for help finding the perfect roof rack!